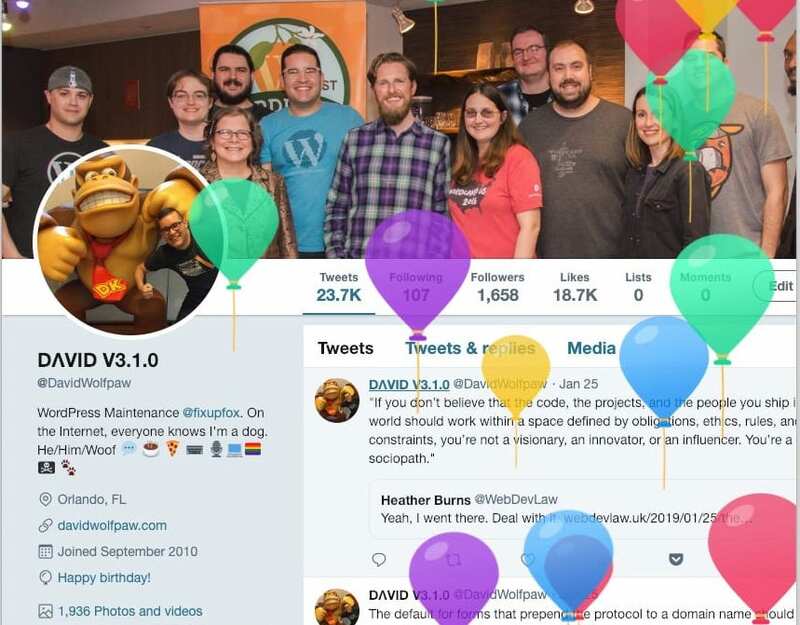 I’m happy to announce the release of David v3.1.0! A post-per-day challenge in May of 2018. Completed, but barely. The commencement of a new challenge to share more tips and tutorials this year. Becoming a SiteGround Ambassador, so that I can share my experiences with their hosting (overall very positive), and travel to more conferences. More details forthcoming in a future release. Beginning formalization of conference packing structure, with the intent of improving travel quality. Further improvements to WordPress support and maintenance features via FixUpFox. A planned major version upgrade was temporarily delayed, but is still in progress. New features are constantly being added, and original developments refined. The timeline for release this year looks promising. I’ll keep you up to date when further information is available. Thank you all for making the latest release possible, and for your support through the ups and downs of prior release schedules! Back in May I did a little challenge where I tried publishing a new post every day, without a specific theme. While I barely scraped by in completing the month, I was able to keep a commitment to myself, one which a lot of bloggers try for: some form of consistency. That went alright, but it also felt like a chore at times. I focused so much on crafting the perfect posts last year that most of them came out far less than that. I also have plenty of posts here that are specifically about posting more, something not uncommon on personal blogs. This year I’m going to get a bit more ambitious with my blogging goal. I’m going to focus on sharing more tips and resources. I usually get to the point of thinking that anything technical or educational should go on a business blog, so that I can start pushing traffic there. 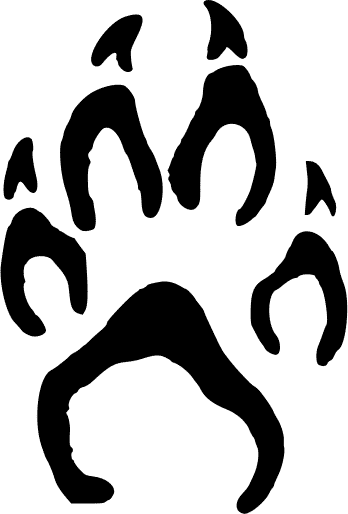 While I still want to do that (the FixUpFox blog could certainly use some love this year), I don’t want it to get in the way of actually producing content. Sharing knowledge has always been one of my favorite activities. Projects may come and go, but the ability to show someone the cool thing that I learned which could potentially save them hours or hundreds of dollars for their sites is always fulfilling. In that spirit, I intend on sharing a small tip, code snippet, or cool resource on as many weekdays as I can manage this year. My goal is going to be every non-holiday weekday of the year, but even half of that goal would be a tremendous amount of new content on the site. I’m not sure how well I’ll do, but I know that there’s more than enough content available to share. I’ll try to make the posts as concise as possible, without removing any important context for the tips that I share. 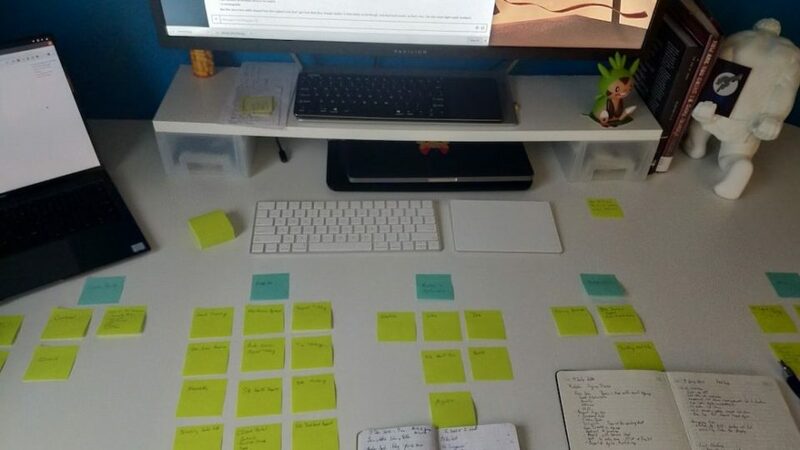 I regularly search for how to do things while working, and it can be a challenge to find resources that both have the answer that I need, as well as an explanation on how and why to use it. One thing that I hope will help both myself and others is the blogging accountability group that I’m starting through the WordPress Orlando Meetup. I’ve setup a page to signup on our site, as well as a channel in our Slack team so that participants can encourage one another, keep each other accountable, and offer advice whenever anyone has a question. Join us if you want to make yourself blog more like me! 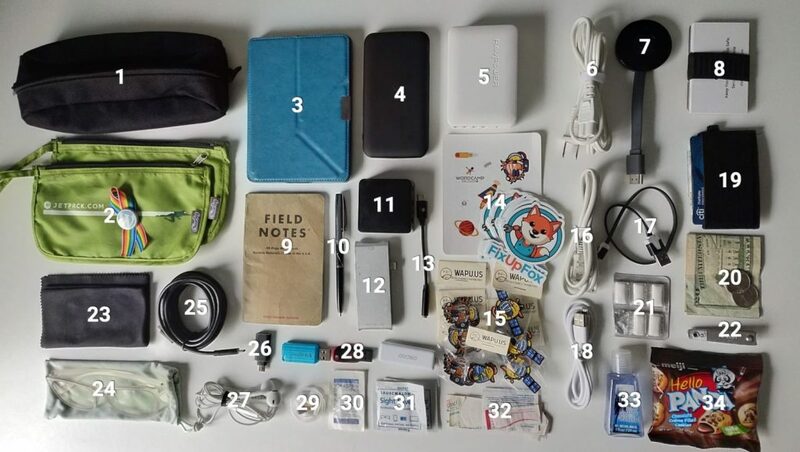 I’ve seen plenty of these types of posts, and can understand the popularity, since I end up comparing everything that I have to the people posting, trying to see where I can improve my travel or everyday carry gear. Most recently, Matt Mullenweg did his annual “What’s in my Bag” post, and since I was preparing to go to php[World] to give a workshop on WordPress theme development, as well as have my third conversation in a week around Ethics on the Web, I thought I’d document my packing, since I try to be organized for each trip that I take. Matt and many of the others that document their packing showcase more of the things that they use as heavy travelers, including a heavy focus on quality of goods. While I like things that work and don’t break, I also don’t travel nearly as much and can get by with a bit less overall. My list is a bit less “here are the best headphones that you can get” and more “here’s what I pack for those few times that I use wired headphones”. Before I start the list, I want to thank SiteGround for helping to sponsor some of my travel as one of their WordPress Ambassadors. I use them for most of my hosting, and if you are interested in giving them a try I can answer questions that you may have. I also have a discount that you can get for discounted WordPress hosting, and full disclosure, it’s an affiliate link as well. Now that I’m at it, a few of the products linked below go to Amazon, which are also affiliate links. I wouldn’t push anyone to buy things that I don’t use, and as you see below, even necessarily buy anything if what you have already works for you. Electronics Bag – I think this originally came with a tent to hold stakes and ropes. Hopefully that tent can still secure itself to the ground without this handy canvas bag that I put electronics in. 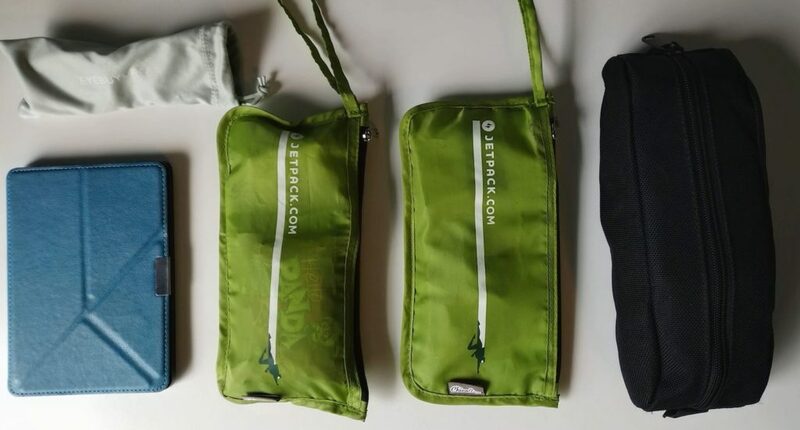 Jetpack Bags – These are little nylon bags that I got at some WordCamp or another where Jetpack sponsored and gave these away. Next time they have them I’m grabbing a few more since they’ve been great for holding together little items. My only complaint is that the zipper opens toward the loop, making it easier to open than close them. Kobo Aura Edition 2 – OverDrive and Pocket sync directly to this e-reader, giving it a leg up over the Kindle for me. I’m trying out a tablet again right now, but this is the majority of my entertainment in down-time while traveling. USB C Battery Pack – The one that I bought is no longer available on Amazon, but the linked one is cheaper and higher rated, so bonus for you! I am trying to use USB C for all devices where possible now, but this charger has USB A as well. I have a beefier charger that can add even more power to my laptop, but I rarely use it and this is smaller. USB Hub – Two USB C ports, four USB A, 60W total, 45W USB C meaning it can charge my laptop and all other devices. Saves carrying multiple chargers around. Chromecast – For the few hotels/AirBnBs that this actually works it makes it a lot easier to stream videos. Business Cards – I was gifted this wallet/bottle opener by an Automattician at a WordCamp and I feel bad that I can’t remember the URL to the store. Fisher Space Pen – I hate having to search for a pen, and having to try to scribble it to life when I find one. One of these stays in my pocket at all times and can always produce a steady flow of ink. Mini Router – This is a newer addition so I can’t say how great it is or not, but appears to work so far. A tiny, programmable router/repeater that can use ethernet, wifi, or a tethered phone to provide a secure wifi network with OpenVPN on the go. Bonus for regular travelers with multiple devices is that you no longer need to keep entering new networks once you have the network that you setup saved. Can be powered via battery pack. USB C Hub – Hub to turn USB C port of many modern laptops into a pass through charger, HDMI, USB A, and SD/Micro SD reader. USB C to 3.5mm headphone jack, since I don’t rely on bluetooth headphones when traveling much. WordCamp Orlando and FixUpFox stickers because who doesn’t love giving away swag? Wapuu pins from WordCamp Orlando 2018 thanks to wapu.us also to gift nerdy conference folks. Ethernet cable for router on the off chance I have access somewhere. Raw Wallet with ID and credit cards. I prefer minimalist wallets to avoid having to carry too much and fit it in my pocket. Some cash stored in bag instead of wallet for my paranoia of losing one or the other. Gum for plane pressure changes and banishing coffee breath. Nail clippers because I have a bad chewing habit that I’m trying to break. Microfiber cleaning cloth – The cloth that comes with a Macbook has been the best to get smudges off of devices and my glasses. I ended up buying a pack of similar ones since the freebies just end up smearing it around. Spare glasses from Eye Buy Direct. These have a blue-screen coating for us screen starers, though they’re a little tight on my temples. The non-coated pair that I wear daily I paid around $7 for, including shipping, and I think they look nice. Never going to get caught up in another store selling plastic frames for hundreds of dollars then not honoring their warranty when they break. USB C to USB A 3.0 adapter since not everything has caught up yet. Headphones that came with some iDevice or another, so they can skip and pause songs on my Android phone but not control volume. I haven’t found an Android specific pair cheap enough to offset the handful of times I ever use these. USB flash drives, including a USB A/C combo drive with some dev tools preloaded for when I give WordPress workshops and someone doesn’t have a development environment setup yet. Whatever meds I’m currently taking in a little pill pack plus aspirin since I’m supposed to not be taking #30. Some ibuprofen that is basically for others since I’m trying to stop taking any. When the microfiber cloth isn’t enough, these wet wipes clean screens and lenses well. A few bandages for my clumsy self. Hand sanitizer that has way too strong of a scent but is tiny. Two things matter to me with what I pack: portability, and price. I agree that it’s worth it to buy quality, but I also think that the amount that I use some of these things makes it irresponsible for me to spend more to get the absolute best. If you remove the Kobo and cash from the above picture, I’m estimating under $200 for everything else, most of it getting use outside of travel too and purchased over time. I don’t want anyone overspending trying to put together the perfect travel gear, especially if you travel as often or less than I do, which is generally 6-10 times per year. All of the above looks like a lot, but condenses pretty well into the electronics bag and the two Jetpack bags, minus the glasses and Kobo which I keep out. One of the Jetpack bags goes in the front pocket of my backpack with things like my wallet, notebook and pen, headphones, pills, and snack for easy access during travel. The rest goes into the main compartment with the electronics and clothing. I listened to an episode of the WPMRR podcast yesterday where the hosts mentioned that dressing up for a WordCamp or developer conference if you don’t normally would make you stand out in not a good way. Thankfully those are what I travel to most, since t-shirt and jeans is my comfort zone. I generally pack for the number of days that I intend on traveling plus one. Since the trip that this was for was three days, that means that I packed four t-shirts, four pairs of underwear, and four pairs of socks (#2, #5, #6). I also knew that it would be cold, so I packed a heavier hoodie that I got from the Nintendo World store (#1), as well as a lighter SiteGround one (#4). Finally for clothing I brought a pair of comfortable shorts for lounging in the hotel room (#3). Rounding out my bag are the items from the above list (#9, #11, #12, #13), an unnecessarily large bag of toiletries that I’ve since pared down (#10), my laptop and a sleeve since I’m giving a workshop (#7), and a SiteGround backpack that was ordered by someone who clearly travels a lot with a carry-on and wanted something useful, including compression straps, zipper covers, a padded back, and chest and waist straps. I’ve been trying to travel without my laptop on trips where I am not doing workshops or code demonstrations to take a bit of time off of staring at the screen all day. I’ve begun to learn that it’s OK to let clients know if I’m out, and schedule around trips. Admittedly, the bag is fairly full, thanks to the larger hoodie that I had to pack, but I can often leave that at home. 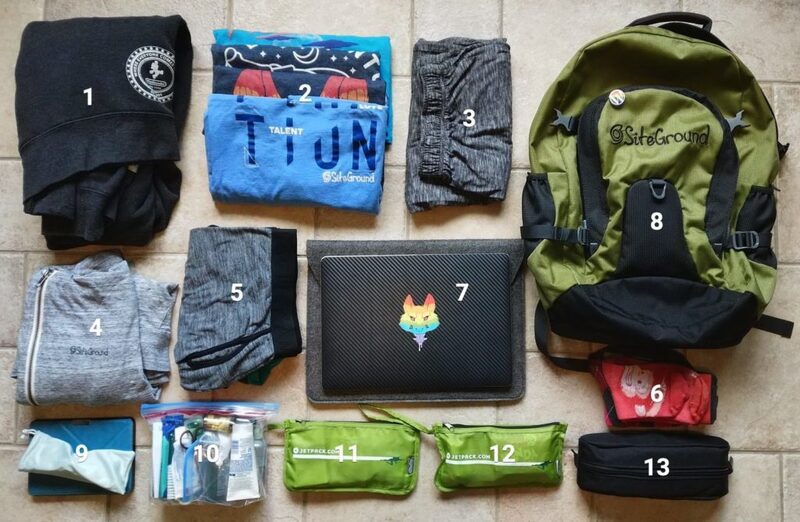 All of the above totaled about 14.4 pounds, but the laptop and thick hoodie take up about 4.8 pounds, which means I could generally travel carrying a bag of 10 pounds or less. I’m heading to WordCamp US next week in Nashville, and will be gone for a similar length of time. I’ll still have to pack the big hoodie, but may leave the laptop at home, since it’s doubtful I’ll even open it much with the schedule as packed as it is. When I come back from a trip I notice how much of what I packed doesn’t get used at all. For this trip, as an example, I used maybe 60% of what I brought. Of course plenty of those things are of the “just in case” variety, but I am always finding things that don’t really get used and can be dropped or picked up where I travel if really needed. So that’s my long post about what I pack for travel. What about you? Share a link to what you keep in your bag, whether for travel or every day use! I wrote recently about using Boostnote, and why I’ve chosen that over other apps for the time being. It is not perfect though, and I’ve been thinking through all of the things that a perfect writing and reading app would have for me. There are a few things that I’d love to have, and while I’m sure that I didn’t list them all below, I’ve been considering what I’d like to see. This should be a given thanks to how popular it is, and how much compatibility there is. It is cleaner than rich text editors, and easier to use while writing than HTML or other markup formats. This is something that Boostnote doesn’t have, which is unfortunate. Considering that the Gutenberg editor currently doesn’t perform spell check when content is pasted in, I need to manually check content again currently. Having my notes in more than one place is important. I rarely type on my phone but I often consult on it. That also means that I want to be able to work on my computer, but also get to those files elsewhere. Cloud storage will handle the portability, while maintaining local copies, which some apps don’t do, will allow functions to work quicker and be accessible when the internet itself aint. As many file types as possible! Of course files that contain text and code, but also images, non-text PDFs, and more. Anything consumable that does not need to be executed separately, preferably. I am trying to get better about outlining work before I start. Even if that means creating a series of headings and subheadings that I can fill out later, I’ve got some sort of framework for what I’m writing. Some tools have this built in as a feature. File linking would also come into play here, where I could indicate that another stored file relates to this file. 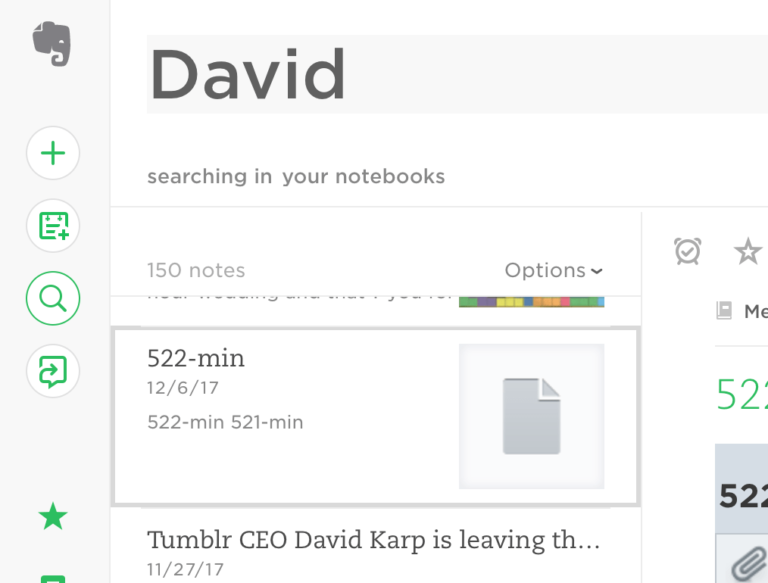 Evernote Premium has their suggestion feature, where it finds notes that it thinks are related, but I want to specifically indicate that I want to see a certain file related in a certain place. Boostnote has this covered, and I can even share links to specific notes across my machine. This is something that Pocket Premium gets me, but not by default with most “save for later” style reading services. Basically, after the content has been stripped out of whatever page it was pulled from, a local copy would be saved. This ensures that it’s available even after link-rot or total removal from the web. I don’t like to spend a lot of time sorting my notes. I do like to sort notes into folders, but that’s mainly because it’s a shorthand mental model and way to filter to view specific categories. Pocket Premium will suggest tags, but I want something that can just handle adding those tags from the start. Additionally, some form of index that allows timely full text search would be very useful. Optical Character Recognition was one of those nice bonuses that Evernote Premium offers. I could use a scanner to save paper documents that I might need one day but might not, and have them uploaded and taking advantage of that cloud storage. This feature has already been useful for me in the past, and something that I’d love to keep. Searching for my name pulls up scanned images of docs with it. On the desktop app it even highlights exactly where it is! Another feature that I’ve seen used heavily in Evernote, but that I don’t personally use, is annotation. You can save images or files to Evernote, make marks over them, and share those files directly with others. When using a screenshot of a site to note an issue with it, this makes communication a lot more clear. Since I’m writing a wishlist here, I’ll add that I want to be able to integrate with other apps. Let me use Spotlight and Alfred to search for notes and open the app to that specific note. Let me share them across a variety of cloud services. Let me authenticate with Github and share a note as a gist (and pull gists in as notes). This is mainly a wishlist of what I would like in an ideal note and reader combo app. I’m getting to the point where I’m wondering if it’s worth the effort to try to create my own. In my Boostnote post I mentioned how many other apps that I found that do similar things. I think that there might be an overabundance of this type of app, but I also acknowledge that both writing and reading apps can be highly personal due to how they are used for creation and consumption. It only makes sense that when you can’t find what you want you’d yearn to make your own. Is there a magical note editor that has most of the features that I want that I haven’t seen yet? Got any suggestions for me, or other features you think are important?